Vanson offers a one-year warranty against any defects in workmanship and materials from date of purchase. To ensure that your Vanson Warranty is in full effect, it is important that you fill out and mail back the warranty registration tag that is attached to your Vanson garment. Your warranty tag has the unit number on it, which allows us to trace your garment back through the manufacturing process. We can then track it to the dealer who purchased it from us and sold it to you. 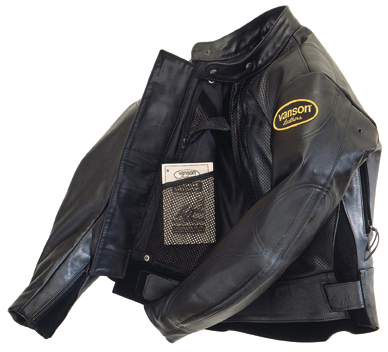 We can also track any repair or alterations that may have been done over time. By having a complete picture of your Vanson garment, it validates things for us and provides assurances for you. Defective garments will be repaired or replaced at our discretion, subject to our determination that they have not been abused or misused. All returns must be freight and insurance prepaid and unless the product was shipped in error or was defective, Vanson reserves the right to charge a 15% handling fee on all authorized returns. This warranty is in lieu of all other warranties expressed or implied.